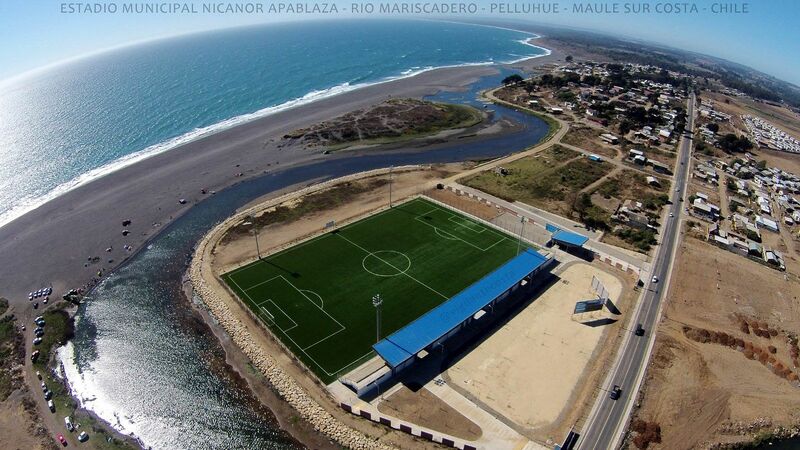 It’s located absolutely stunningly: beside the ocean and in a river bend at the same time. 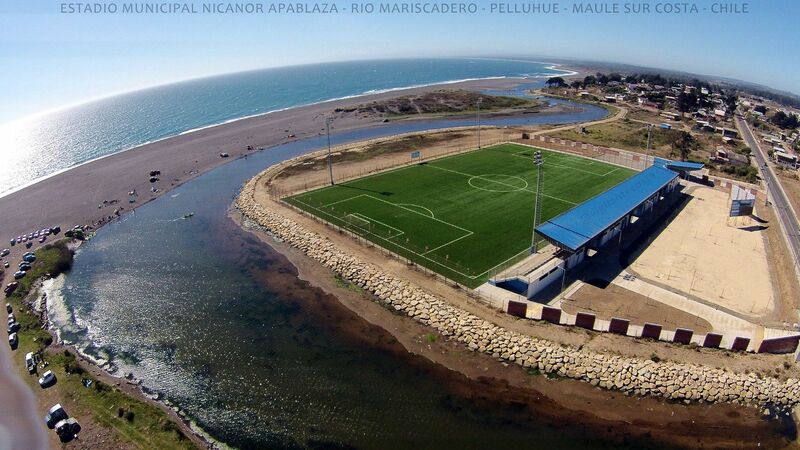 Built in the last major meander of Rio Curanilahue, this football-specific stadium has one covered grandstand on the east side, providing room for roughly 1,000 people. 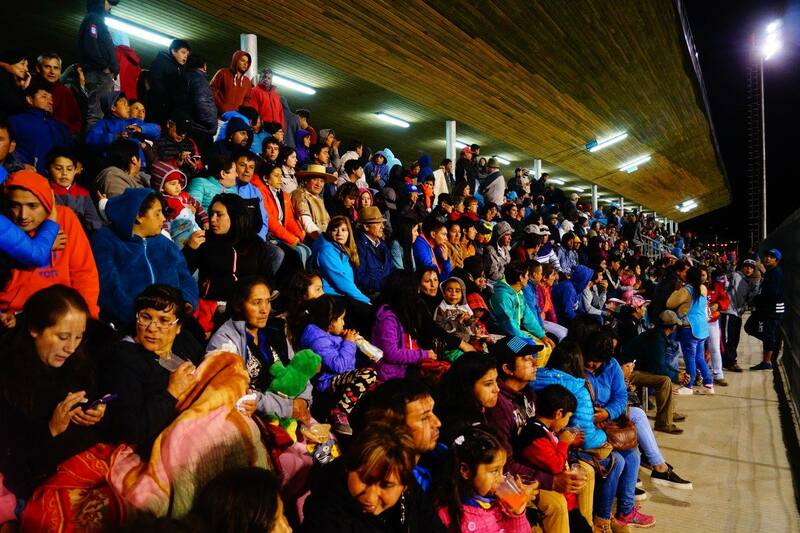 However, already during opening events it proved able to accommodate over 2,000 viewers. On a regular basis spectators can admire the mighty Pacific Ocean from the stand, though it’s as calm as the name would suggest. In fact, the stadium had to be built in the first place because the old one (with running track) was entirely destroyed by a tsunami in 2010. Only two floodlight masts survived, but had to be dismantled in the end. 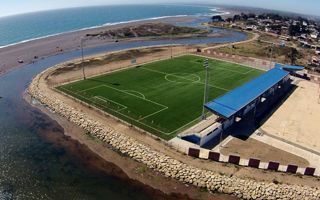 After the reopening, the ground was named after Nicanor Apablaza Apablaza, renowned regionally footballer and… shellfish diver.